State testing is coming up for us this year. In upper elementary, I know kiddos need test prep, it is the way of the land. There is no getting around it! 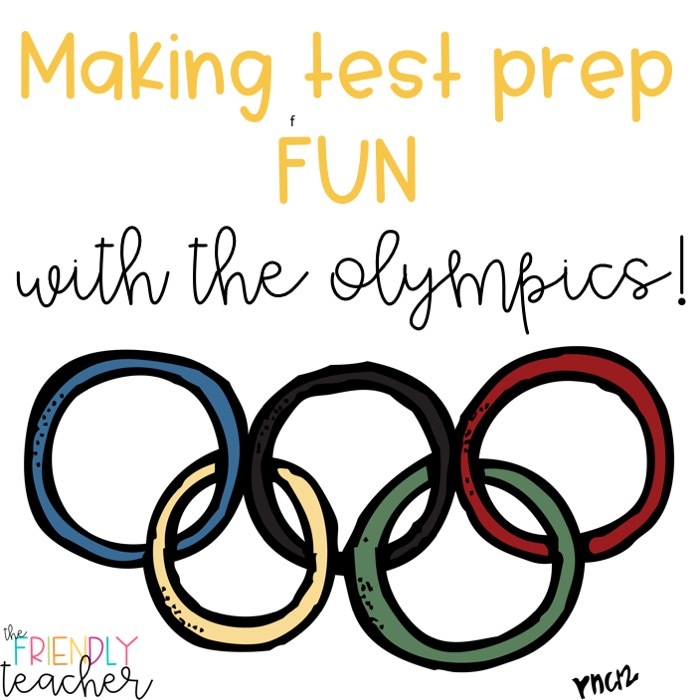 So, I tried to come up with a way that would get them focused, engaged, and excited about test prep and that was when the Test Prep Olympics was created! 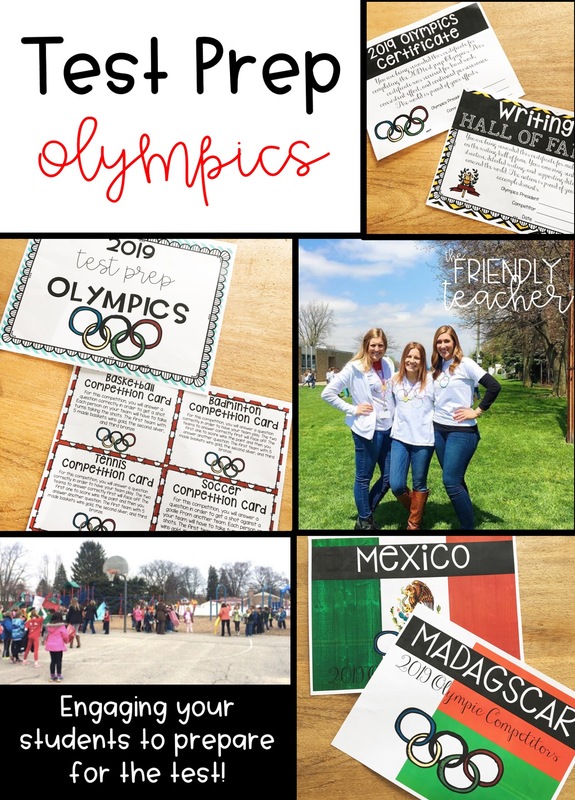 The test prep olympics was created for my entire third grade team at my school. 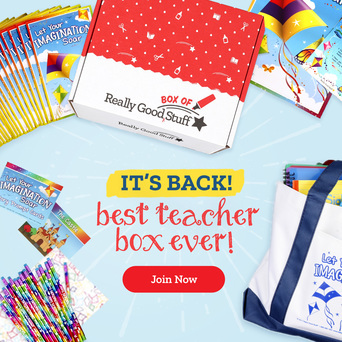 You could do this for just your classroom or even the whole school! The more competitors the better! 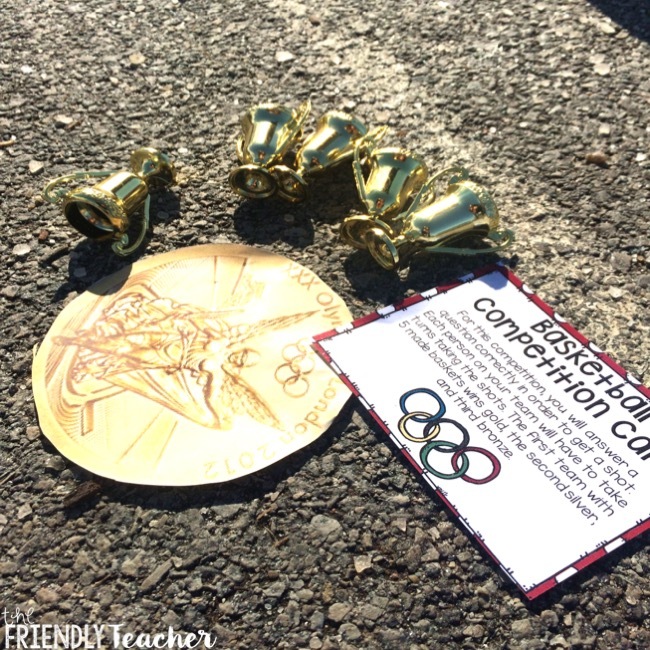 You can easily change up the way you do the competitions to make it work best for your classroom! For us, we made it a 5 week competition. But you could do it for one month, two months, or more! I suggest no less than 3 weeks. We began with an opening ceremony! This is BEYOND fun! We laughed, yelled, chanted, ran through signs, and got a little crazy! Before the ceremony, each classroom picked a country that they wanted to represent and created a country chant! The classes also made signs that we attached to yard sticks that they ran through! When we got outside, we announced each country and they ran through their sign doing their chant! 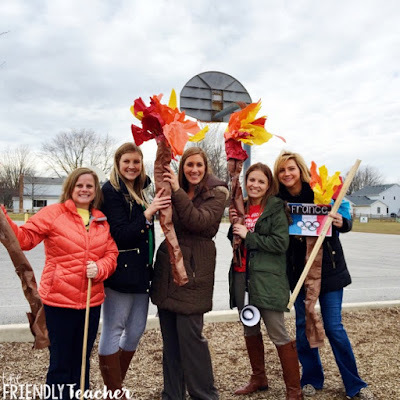 They also held up small flags that we created using popsicle sticks! At the end the teachers ran out with their torches announcing that the Olympics had begun! The students went CRAZY! They loved every minute and I knew that I was going to have some focused kiddos doing test prep!! Each week we focus on test prep throughout the week to prepare for the competition that is always on Friday. 1. Each class does test prep everyday for 15-20 minutes. 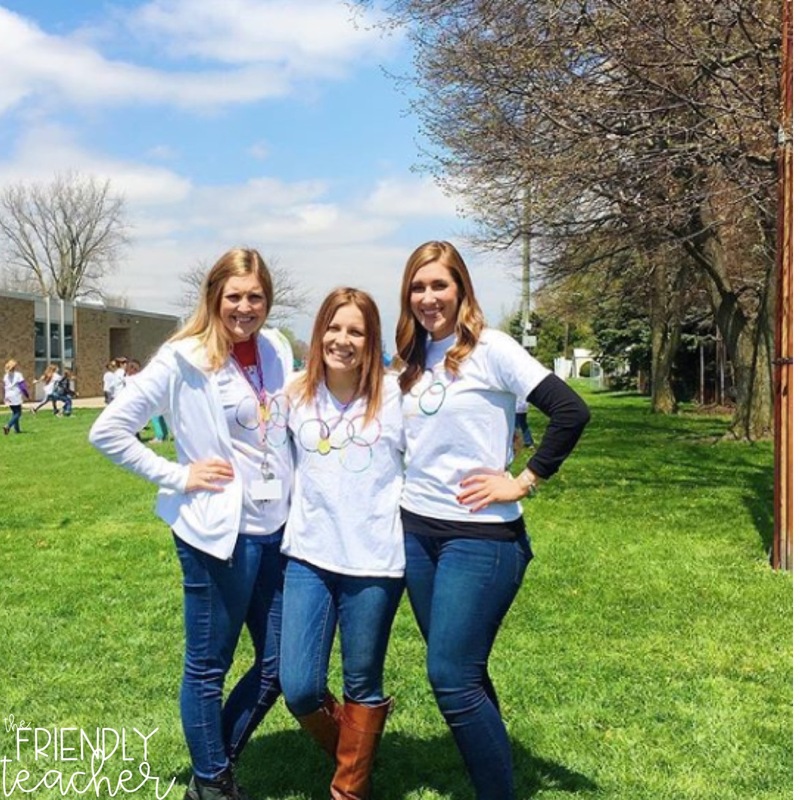 For us, you could do any test prep you wanted whether that be reading, math, or writing. 2. During the week the teacher takes notes on who is working the hardest! The teacher also can pick a specific skill that they will look for. For example, this week I wrote down kiddos who restated their question on every short answer that we practiced during paragraph of the day. I typically would post the skill that we were working on that week on the board. This way students knew what we were focusing on and what I was looking for. 3. Then, on Friday the teacher picks students to compete for their country in the competition. 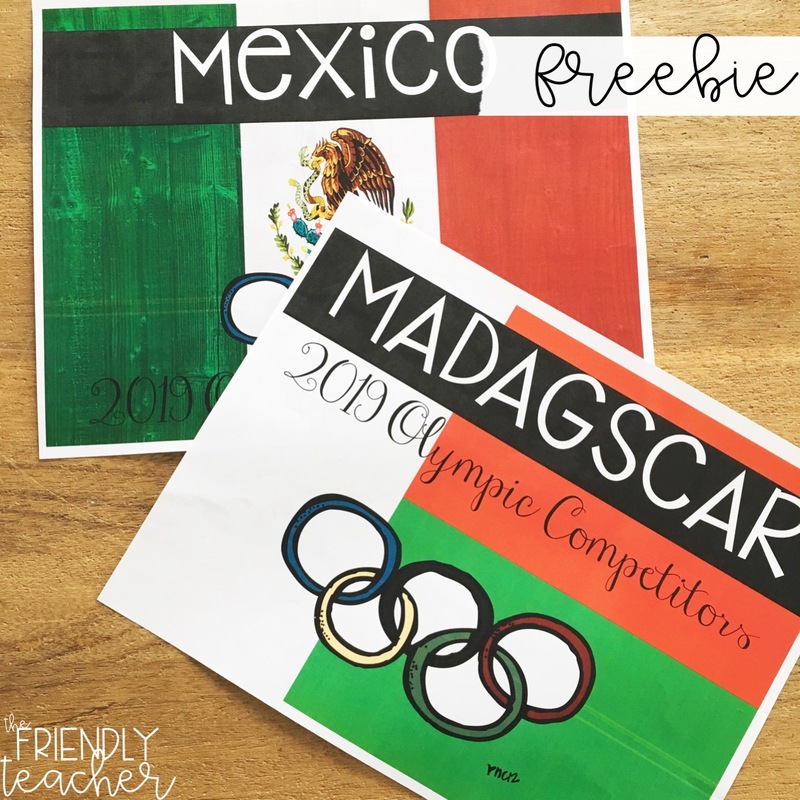 If you are doing it just in your classroom you may pick one in each country, if it is against grade levels you may pick 3-5 per classroom, if it is the whole school you may only pick 1-2 from each country. The most important part is the fact that you talk about WHY you picked them, so the other students know what behaviors they need to match! You want to really point out what testing behaviors they performed well. **Side note, this is the most motivating thing ever! This week, I watched my students complete a writing prompt where they wrote for 20 minutes straight! Not one of them looked up and their writing was FANTASTIC! I couldn’t believe what a little motivation and competition could do for them! The writing project even included using text evidence from sources. 4. On Fridays, the teachers have test prep questions that the students answer. 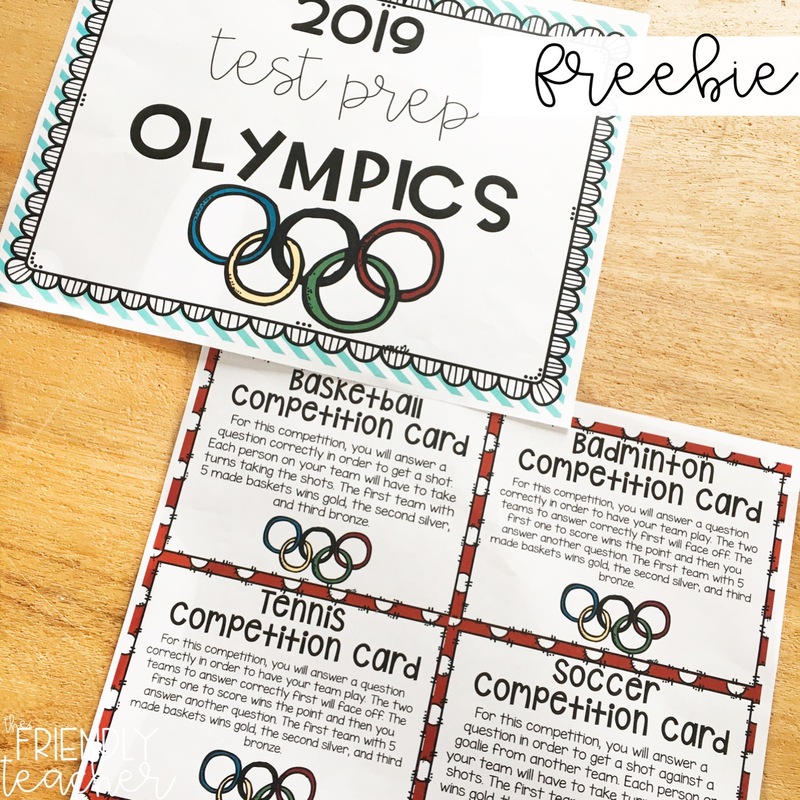 We use Test Prep Centers from Not So Wimpy Teacher , task cards, paragraphs of the day, or any test prep we can find for the questions. Honestly you just need quick questions that your kids that are in the competition can answer, doesn’t matter what they are! We do this in a completion. So, for example on basketball week the students had to answer a question correctly in order to shoot a basket. They do the competition in order to receive a trophy! Click the picture below to see what I bought. We put a gold, silver, or bronze medal on our classroom doors each time you win one, so that way the other classrooms can see where each class stands! It is SO.MUCH.FUN! At the end of these weeks we will have a closing ceremony! This will be directly after our tests and will include lots of music, award ceremonies, and fun! We give each student a medal and a certificate. Our principal comes out and announces the winners. Each gold medal you have is three points, silver two, and bronze three. This helps us determine the overall winners! 1. Paragraph of the Day– simple quick paragraphs to support students close reading and text evidence skills. 3. Hurricane Informational Writing– working on quoting text through informational writing. 4. Reading Skill Lessons- engaging and hands-on lessons for every third grade standard and skill. 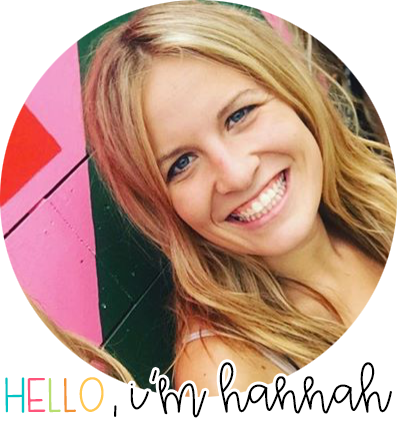 If you have any questions, please contact me, email me at thefriendlyteach@gmail.com! 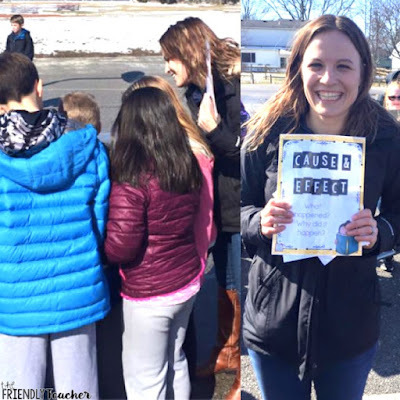 I am CRAZY about this and would love to help you implement it in your school!